Hello everyone, and welcome to the week! It's time once again for our look back at the noteworthy updates of the last seven days. What makes this week's article stand out for me is the sheer number of games I love that updated last week. Why, there are even a couple of games that will probably end up on my Game Of The Year list included here! Of course, you can keep an eye out for updates yourself using AppShopper Social [Free], the watchlist in the TouchArcade App [Free], or by participating in the TouchArcade forums, but this weekly summary is here to fill in the things you might have missed. Let's dig in! Minecraft: Pocket Edition, $6.99 Redstone circuits! Not all of them, but some of them, and that's big progress. On top of that, this version brings desert temples, bunnies, and new types of doors. Maybe you could use the Redstone circuits to operate doors that keep bunnies in desert temples? Look, I'm not going to tell you how to play, but I will make strong suggestions. Angry Birds Rio, Free It's kind of impressive that Rovio keeps rolling out content for a tie-in app with a movie that just about everyone has forgotten about. I think I've said that in an earlier Update Mondays, but hey, you try writing these every week for more than a year without repeating yourself. 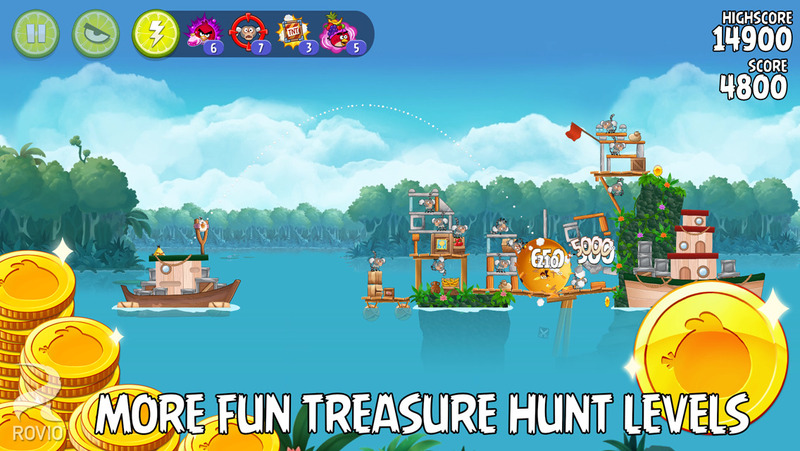 This update brings 20 new Treasure Hunt levels, 6 new bonus levels, and some nebulous “minor improvements”. I bet they're bug fixes and performance improvements! Vigil RPG, $1.99 Vigil‘s update is pretty small, but I like the game a lot, so I'm including it in here anyway. That's the kind of thing you can do when you've gone mad with the power that writing a weekly update column brings. This update makes it so that you can heal up at a shaman's hut instead of needing to go all the way back to the inn in the town. Let's hear it for modern conveniences! Galactic Keep, $3.99 Here's another game I love, and in this case, the update is a spicy one! Now, at the moment, Galactic Keep only has one module, but there are plans for more. Many fans of the game are passing the time by replaying the existing module. Whether you're playing for the first time or going through again, you're sure to find the main addition this new version useful. You can now find Temporal Hubs on the map that allow you to switch characters at the cost of a bit of experience. Even better, you can stow items in there and retrieve them from any other Temporal Hub in any other location or module. Yes, permanent storage! Templar Battleforce RPG Full Game HD, $9.99 Okay, you know the deal with Trese Brothers updates. There are too many things to list here, but the brief highlights include move path highlighting, remixed music tracks, and some new xeno enemy types. I'm sure we'll be seeing Templar Battleforce in this column again soon, leaving me to once again try to pick a few things out of the 20 or so improvements that come each time. Thanks a lot, guys! Sproggiwood, $9.99 So many great games in this week's article, yeesh. Okay, so one of the things that bugged some people about Sproggiwood was that its controls were on the opposite side of the screen compared to many similar games. Well, as of this update, you can swap it over to the side you're most comfortable with. The game also now supports controllers, if you're the real buttons type of person. However you play it, just make sure that you do play it, okay? Puzzle Craft 2, Free Okay, so here's the deal with this update. You can now get some extra money by selling resources in all of your settlements, earn extra influence by helping people in old settlements, and score some runes by mastering royal quests. More ways to earn things all around, and that's something I don't think any Puzzle Craft player will say no to. Sentinels of the Multiverse, $9.99 Mini-Pack 2 is now available, adding The Scholar, Miss Information, and The Final Wasteland to the game. If you already bought the Expansion Season Pass, you're all set, but otherwise, it's a $1.99 IAP for the pack. This update also includes a few bug fixes and UI improvements, such as the ability to easily share screenshots on social media. Think of the bragging rights! CSR Classics, Free Okay, I should know better, but when I saw that Hot Rods had been added in this update, I couldn't help but think of the Canadian answer to Slim Jim meat sticks. I seriously used to go through those things by the fistful, eating so many that I swore I'd name my first heart attack after them. I miss them dearly. 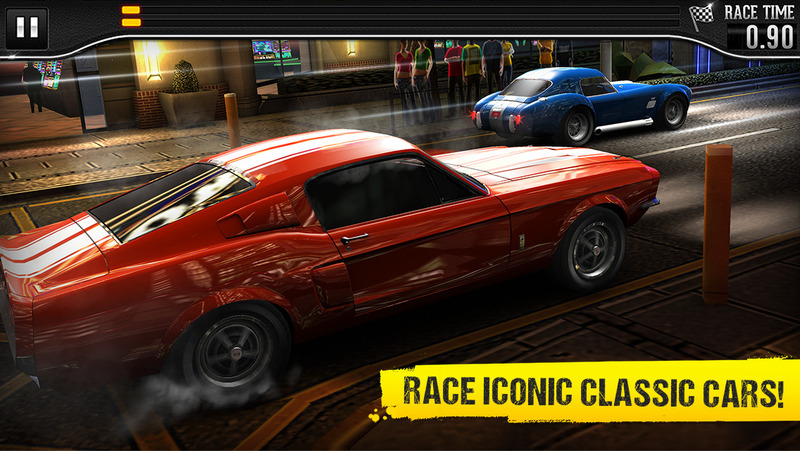 Er, anyway, Hot Rod cars have arrived in CSR Classics, including the Chevy Bel Air, the Ford Model B, the Willys 77 Coupe, and more. You'll have to excuse me for cutting this entry a bit short. I'm going to go eat a pound of salt and a bite of sausage to try and recapture my younger days. KingsRoad, Free Are you just plain out of things to grind in KingsRoad? No? Well, too bad, because a new class promotion system has been added to the game. By collecting a special item from the arena, you can promote each class up to 100 times. Oh boy, that's a big old nope from me, but I'm sure fans of the game are having a field day with that. Especially since you can earn some nifty player titles by doing enough promotions, giving you some fancy words to show off to other players. The things we do for fancy words, my friends, the things we do. Ticket to Ride, $6.99 And here's our controversial update of the week. Not long ago, Days Of Wonder made it known that they would be retiring a couple of the old iPhone Ticket To Ride apps in favor of making the iPad one universal. They did their best to make that a smooth transition for players, but let's be honest, it's never a great situation for people who own the “wrong” version. Anyway, they also did a major update to the game to go with the universal version, and even that is getting some blowback. The update includes asynchronous multiplayer, true cross-platform play, a new map, and an overhauled UI. It's the latter that seems to be cheesing people off, for the most part, but I won't pretend I know what it's all about, because I don't play this game. Card Wars – Adventure Time Card Game, $3.99 Friends, I hope you're ready for the deluge of Christmas updates, because I'm sure not. Oh well! Anyway, the sweaters are back, and so is the event where you can win some cool holiday-themed battle cards. This update also adds a couple of new hero cards to the Fionna and Cake map, and some new creatures and quests for both. The Fionna & Cake expansion is also temporarily on sale for $0.99, so if you've been waiting, now's the time. WWE Immortals, Free Through hell-fire and brimstone, it's Kane! So, one of the weird things to me about the launch version of Immortals was in how some of the Superstars didn't have gold versions. The Rock got his gold a while back, but the Big Red Machine was left hanging for a while. Well, that's been corrected now, as gold Kane will be available in a future challenge or, as usual, right now in a very expensive early access pack. This update also features a special multiplayer season that offers up Survivor Series gear as a reward, but there's only a few days left in that by now, so you'd best get on it if you haven't already. Vainglory, Free This update adds a new hero, Blackfeather, a powerful duelist. There are also some new hero skins for Cloud Raider Vox, SAWborg, and Death Metal Krul. Substantial improvements have been made to the friend system, and a bunch of balance adjustments, bug fixes, and tweaks have been made. Make sure to ask Eric or Andy all about them on the Mobcrush Stream. Tell them Carter sent you! Mines of Mars, $4.99 Crescent Moon's atmospheric mining adventure gets MFi controller support in its latest build, along with the ability to make manual saves. The notes also say that they've improved first time user experience, but I'm not sure what that means. I want to think it means that they mail a golden pony to your house if you're a new player, but that can't be right, can it? Well, we'll probably never know. 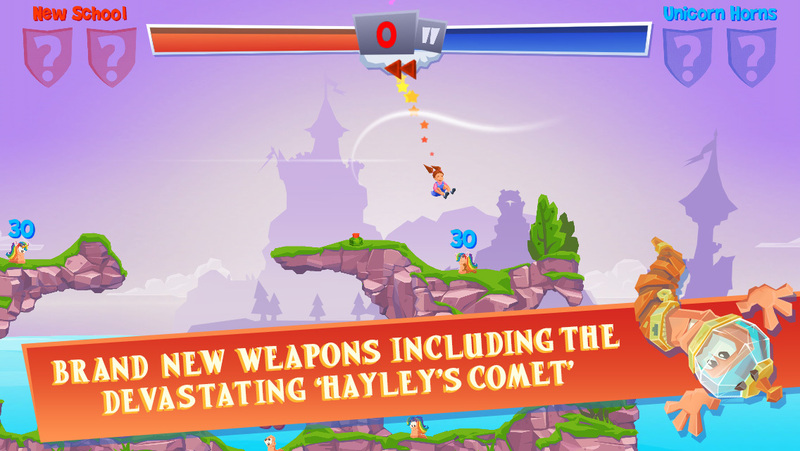 Worms™ 4, $4.99 Another Christmas update for your mobile stockings, friends! Worms 4 has a new weapon, the Cracker Jack, three new season-appropriate outfits, and special Christmas gravestones. That last one is for all of the Dickens fans out there. The airplanes are looking a little like Kris Kringle's sleigh, the music is a bit more jingle-bell-y, and even the Commanding Officer is getting into the spirit. And hey, here's what every good little boy and girl asked for – bug fixes and improvements! How did you know, Santa? AdVenture Capitalist!, Free Finally, an actual holiday-appropriate update! For all you Americans looking forward to Black Friday, you can warm up by joining in on the festivities in AdVenture Capitalist. The Black & Blue Friday event has you tapping away to earn unlocks that get you badges, Mega Bucks, and Gold. Wow, just like real capitalism! Why not check out the “holiday” from its sunniest side for once? Shooty Skies – Endless Arcade Flyer, Free Nailing the gameplay is only one part of following in Crossy Road‘s shoes. You also need to deliver interesting updates with new characters, and it looks like Shooty Skies isn't sleeping at the wheel on that point. The new version adds six new pilots, with two more you can unlock. There's a new boss and some new bad guys, and a new $2.99 pilot pack that just gives you all of the new characters instead of having to fish in the prize machine for them. Dash Quest, Free Hey, here are some neat new things for Dash Quest. There's a new pet system that lets you level up and equip a companion to help you out and a new hero mode that has you playing a higher difficulty in pursuit of Epic Coins to exchange for new gear. There's also a bunch of new content and a level cap increase to level 70. The developers have also done a job on the UI to make things look a little more visually consistent. Bug fixes? You bet! Plants vs. Zombies™ 2, Free Oddly, Plants Vs. Zombies 2 isn't going after Thanksgiving, nor is it quite ready for Christmas. Instead, we get a prehistoric-themed update that includes two primitive zombies, three primal plants, a new premium plant, and a whole bunch of dinosaurs. There's also a special event running until November 30th called Food Fight. I'm… not sure why it's dinosaurs and cave-zombies right now, but whatever. Dinosaurs are cool, no point questioning them. MARVEL Future Fight, Free Jessica Jones is getting her time in the spotlight thanks to her new series on Netflix, and that means she's making her way to some of Marvel's games, too. She's not the only addition to Future Fight, though. This update also includes four new uniforms for Daisy Johnson, Daredevil, Iron Fist, and Doctor Octopus. The new Daredevil suit is from the Netflix series, so true fans will sadly have to wait a bit longer for his Ben Affleck film togs. That Doc Ock uniform? None other than his Superior Spider-Man duds, with new six-star skills to go with it. Ten other characters have new skills, too, and every character's level cap has been raised depending on its star ranking. As a fan of Superior Spidey, I'm going to give this game the coveted Update Mondays Most Spider-Mans Of The Week award this time around. Cards and Castles, Free Okay, this one is a teeny-tiny update, but they can't all be home runs. The new version of Cards And Castles adds some new items to the store, and a quantity selector for purchases in said store. I think the challenge now lays in how the developers go about maintaining balance without people who have bought cards feeling like the rug's been pulled out from under them when card effects change. Well, we'll see where things go from here, I suppose. 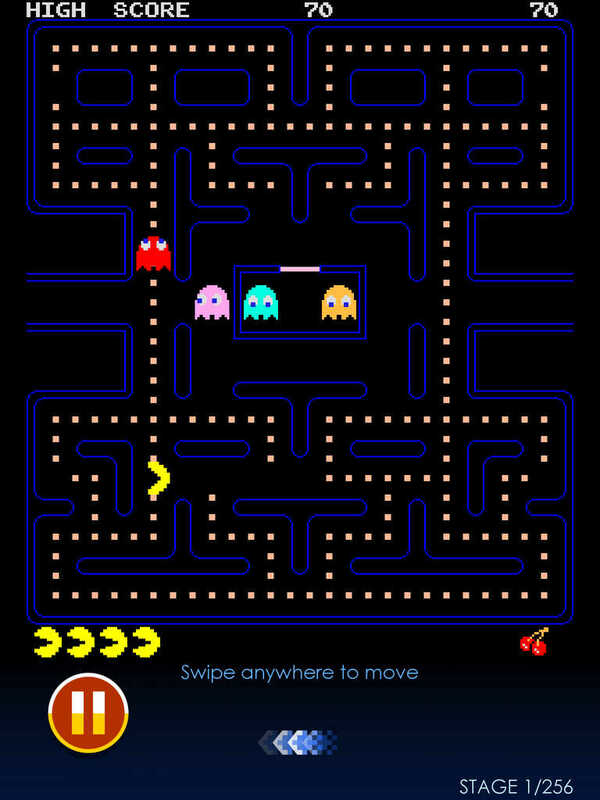 PAC-MAN, $4.99 Some new stuff for this odd version of Namco's classic quarter-muncher, including a new daily gift system, some new mazes, and a few new maze packs you can buy via IAP. I know most of these mazes are stupidly unbalanced, but I kind of get a kick out of the fact that there is still new content being made for the original Pac-Man in 2015. Super Boys – The Big Fight, Free You spoke, Mooff heard. This update re-works the controls based on player feedback, removes the energy system, raises the max star count to 12, and unlocks the Live mode earlier. There are lots of other bug fixes and tweaks to the game, so you might want to give it another look if you were turned off by some of its rough edges before. Pyramid Solitaire Saga, Free Let's play this week's article off the stage with an update to our favorite narrative-based solitaire game, Pyramid Solitaire Saga. Somehow Helena and Kingsley have teleported from the US to Europe and are on their way back from there when they fly over Iceland and see a glowing Viking longboat. Holy smokes, friends. I never know what's going to happen when this game updates!